What many may not know is that World Communications Day was the only annual worldwide annual celebration called for by the Second Vatican Council. The Council Fathers knew that rapid developments in communications were going to be a defining component of modern life, and wanted annual reflection on the topic. It falls on a moveable date each year, always the Sunday before Pentecost. Why then, is the message issued approximately five months earlier? Mostly to give time to publicize its major points and reflect upon them, as well as to honour St. Francis de Sales, patron saint of journalists and writers, on whose non-moveable feast-day the statement is always issued: January 24. Not to complicate things, but the annual theme is announced months before that, on September 29, feast of the archangels Michael, Gabriel and Raphael, the designated patrons of radio. It's a three-point turn that gets us on our way. From Pope Paul VI until today, then, popes have issued their WCD statements in January. John Paul II issued twenty-six of them; Benedict XVI eight. The Pope Emeritus’s were especially notable, since they coincided with the rise of social media, and new questions about how to integrate new technologies into our lives without sacrificing the general sacramentality of the Catholic ethos. His 2012 message was particularly good, in which he named the necessity of acquiring a personal “eco-system that maintains a just equilibrium between silence, words, images and sounds” in order for authentic communication to take place, a good prescription for a culture becoming highly immersed in the latter three. The Vatican Media Office recently issued a snappy eBook of all Benedict’s WCD messages. 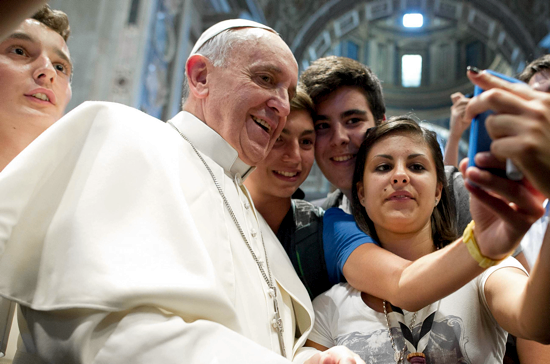 In short, Pope Francis is encouraging the Church to engage with all forms of electronic media, including social media like Facebook and Twitter, in order to foster connection between peoples. 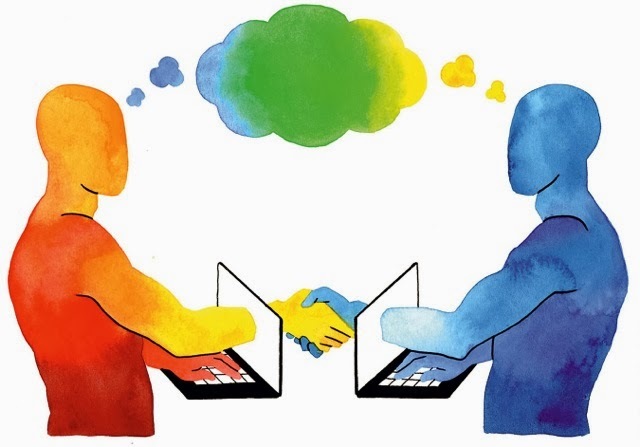 At the same time, these connections must involve the same dynamic that meaningful face-to-face encounters require: a personal effort to transcend ourselves and be fully present to the other. There is ultimately no substitution for this basic requirement of human friendship.